Dave Wallace, guitarist for Country Music star Jake Owen, stands behind (or on top of) his MESA Lone Star Special amps! Lone Star Special with Tasmanian Blackwood cabinet and Tan Jute Grille. The inlay design is abalone with an abalone and Ebony wood MESA logo! Choose from our extensive collection of Premier and Private Reserve hardwoods, to create the custom amp you've always envisioned - with a personalized inlay! 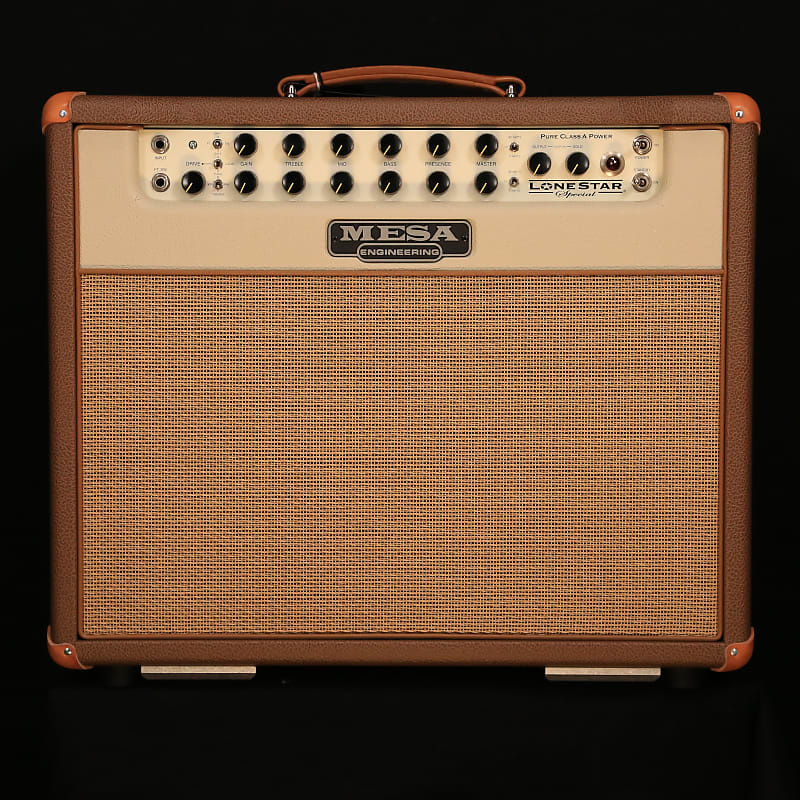 All this bouncy Class A tone blooms naturally in a trim, new 1x12 cabinet roughly 3/4's the size of its big brother Lone Star. And you can afford to pack both of these hand-crafted jewels for around the same bling-bling as a one-trick pony from the boutique corral. But don't shop price, compare tone!